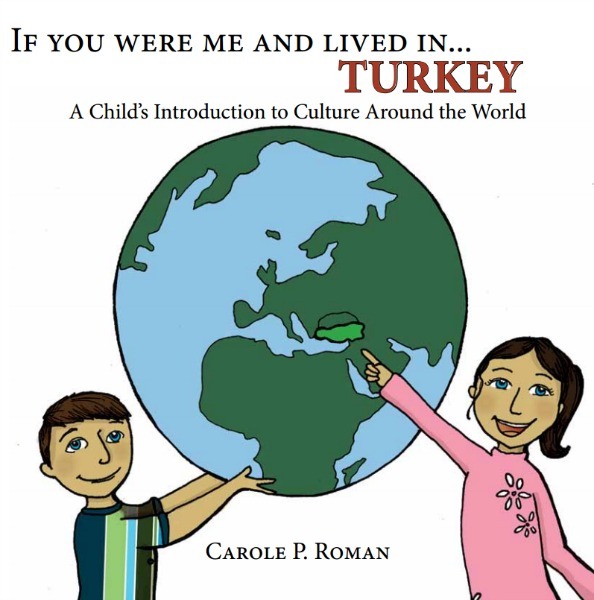 Award winning children's book author, Carole P. Roman has penned three very different series. A former teacher turned businesswoman, she started writing as recently as last year with her first series Captain No Beard. 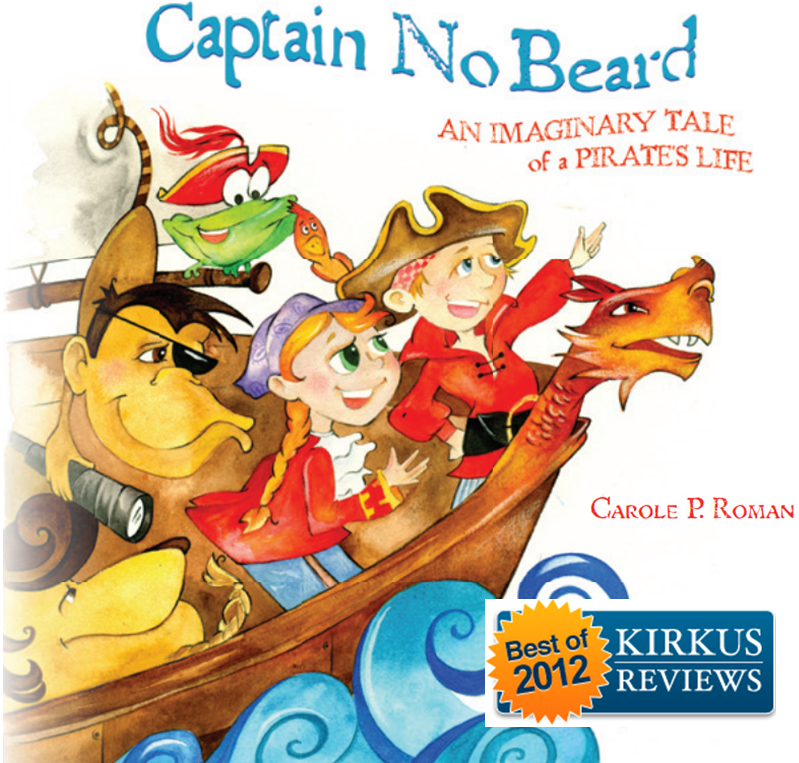 The first " Captain No Beard-An Imaginary Tale of a Pirate's Life" was named to Kirkus Reviews Best of 2012. 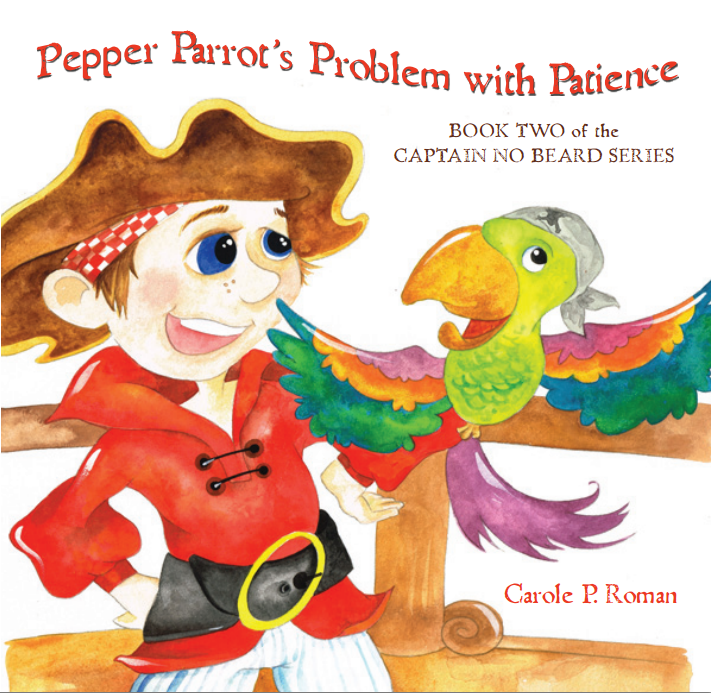 It was followed with "Pepper Parrot's Problem with Patience-A Captain No Beard Story" which received five stars form the ForeWord Reviews-Clarion Review. "Stuck in the Doldrums-A Story about Sharing" will be released within the week. "Strangers on the High Seas" and "The Treasure of Snake Island" are due out this summer. Her second series,"I Want To Do Yoga Too." 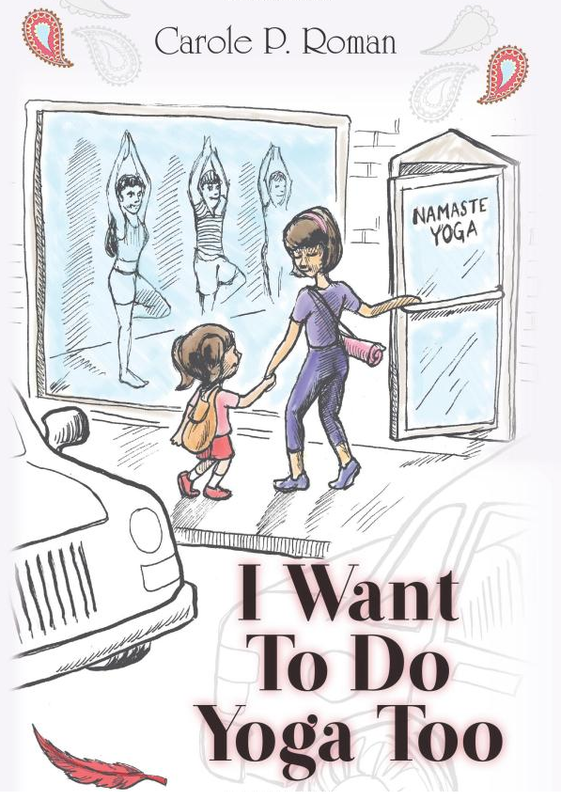 is a children's introduction to Yoga and is loved for it's simplicity. 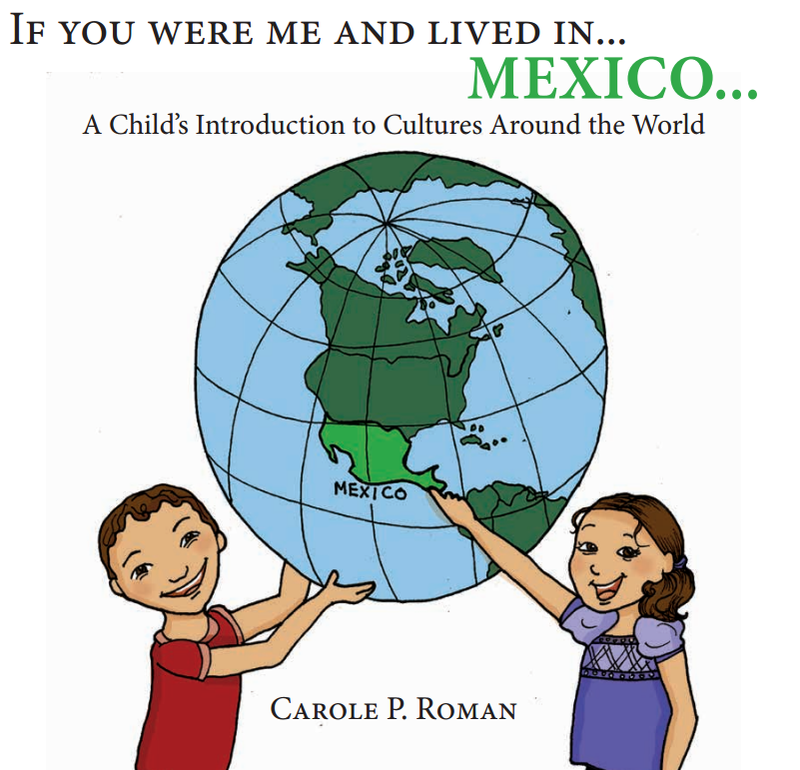 Lastly, a groundbreaking non fiction series called " If You Were Me and Lived in...Mexico- A Child's Introduction to Cultures Around the World" will be launched in the coming weeks. 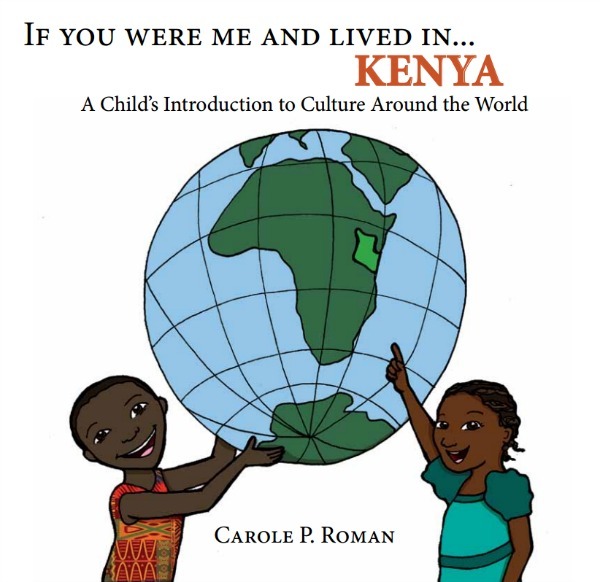 France, Norway, South Korea, Turkey and Kenya are in production and near completion. Roman lives with her husband of 36 years, on Long Island near all her children and grandchildren. She is loving this part of her life and would like to help any new author's by mentioning them on her blog. Captain No Beard and his pirate ship The Flying Dragon set sail for a voyage of the imagination with his fearless crew of four: First Mate Hallie, Mongo the Monkey, Linus the loudmouthed lion, and Fribbit the floppy frog. Normally a young boy named Alexander, his cousin Hallie, and three stuffed animals, once they board his bed their world is transformed into a magical vessel, sailing the seven seas on dangerous and exciting adventures! 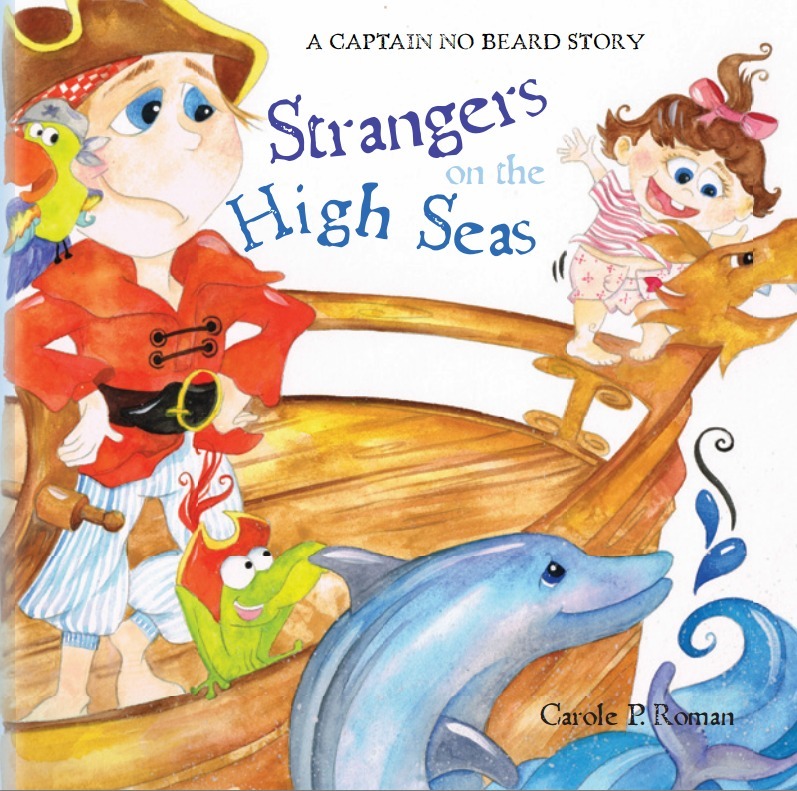 Captain No Beard - An Imaginary Tale of a Pirate's Life named to Kirkus Reviews' BEST OF 2012 for Children's Indie Books, and garnered the star of remarkable merit! The crew of the Flying Dragon are sailing again. This time, new crew-member, Pepper Parrot is having a hard time keeping up with the drills. Captain No Beard and his mates join together to help Pepper achieve her goals with patience and tolerance. Hallie and her mother go to the yoga studio. Hallie wants to join her mom's yoga class, but she isn't allowed. She complains to the babysitter, who gently guides her through four yoga poses. Hallie learns that not only is yoga easy, but fun as well. When the wind stops blowing, Captain No Beard and his crew, including First Mate Hallie, Linus the Lion, Fribbet the Frog, Mongo the Monkey and Polly the Parrot, are stuck on a desert island. Maroon with nothing to do, they begin to play and enjoy themselves. However, Captain No Beard has other ideas, bossing his crew around and making playtime cheerless for everyone. Soon, Captain No Beard decides he has had enough and storms off. When his ship is attacked by a giant squid, he realizes he needs his crew more than ever. Captain No Beard and his crew show young readers that's it's important to cooperate and share your belongings. The crew teaches us that if you want to have friends, then you must be a friend too. 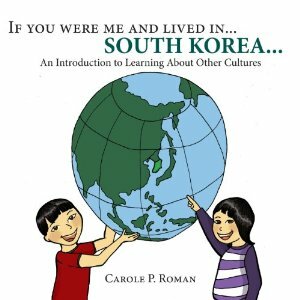 Carole P. Roman takes you on a journey this time to Asia, landing in South Korea. 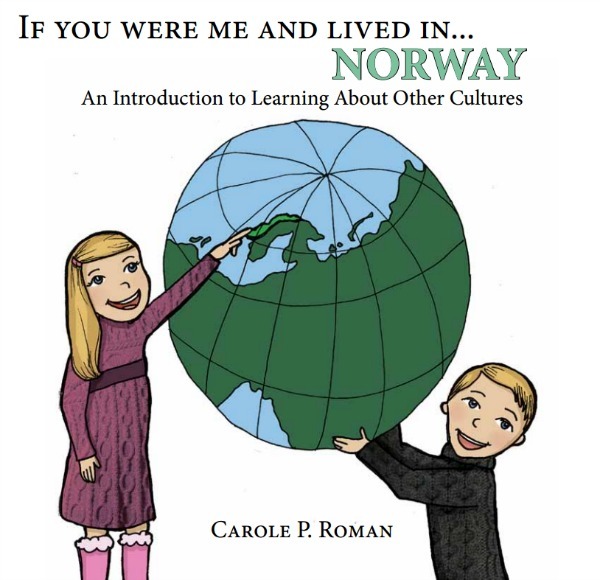 Once again, children can learn how life is like for young people on the other side of the globe. From food to famous landmarks, they will learn that's it's easy to find something in common with people in different countries.